So, if you don't know already, I'm obsessed with Pixi. 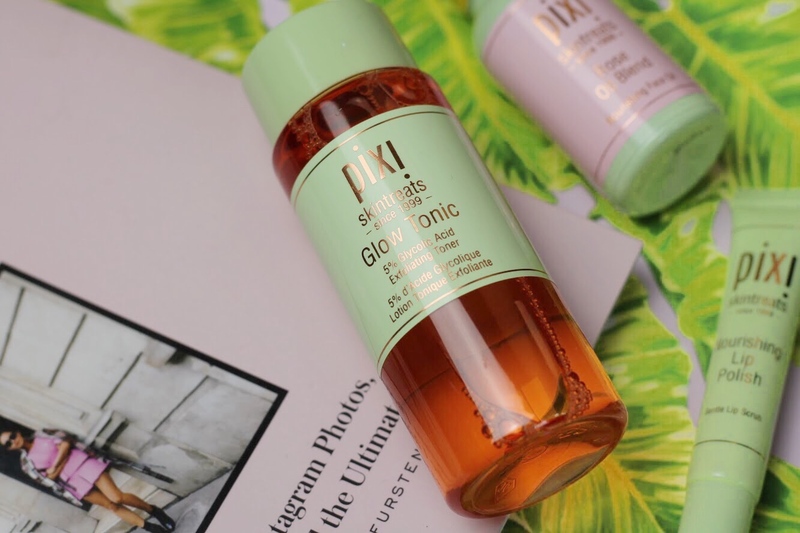 I first tried Pixi skincare when mum bought me a little bottle of Pixi glow tonic last Christmas, after I'd heard everyone on Twitter rave about it for years. Turns out the hype was right, and now not only am I a regular glow tonic fan girl, but my mum and my aunty are too. Word of mouth guys, it's a powerful thing. 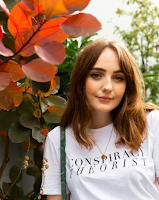 In this little blog post here I'm adding to the hype, talking you through these Pixi skincare items that came into my life in July. Pixi beauty were very kind and treated a few of the Liverpool bloggers to their summer essentials range, which included these skincare picks and some fab makeup bits, that you hopefully seen in my Pixi makeup review earlier this week. 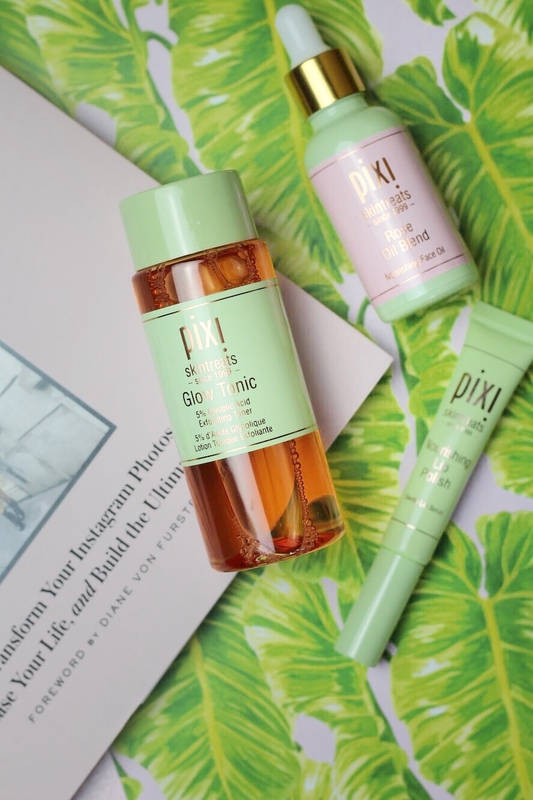 First up in this Pixi skincare review is probably my favourite Pixi skincare item, yep, this might even top Pixi glow tonic in the holy grail stakes. For a while now I've heard so many beauty bloggers rave about face oils, but having acne prone skin, I was scared of potentially adding to the problem with a face oil. 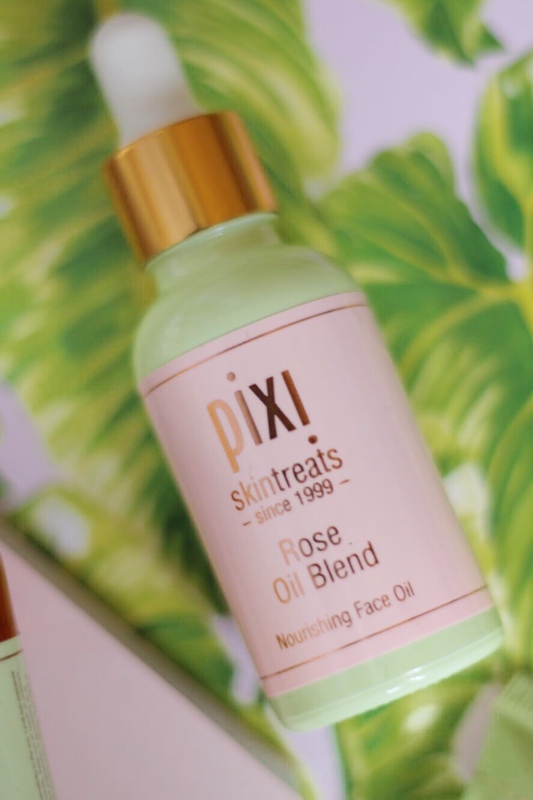 However over the past year or so my skin has changed from mostly oily to mostly dry, and knowing Pixi skincare products are made with natural products designed to nourish the skin, I decided to bite the bullet and give their rose oil blend a try. The bottle says to use this both in the morning and the night, but seeing as this is my first foray into facial oils, I decided to use this just of an evening at first. I've been doing this for about four weeks now and I can genuinely say my skin is less dry than usual. Once I apply a couple of drops and massage it into my skin, my face definitely feels nourished and healthy, and even feels just as beautiful hours later. This has definitely changed my skincare routine for the better, and once this bottle's empty (it might take a while seeing as a little goes a long way), I'll definitely be buying another one. I'm sure by now you've already heard a heap of good reviews on Pixi glow tonic, so I won't go on for too long because this is another one of those raving reviews. As I said, I get pretty dry skin on my face (thanks, eczema) but because my skin is so sensitive I'm always afraid to exfoliate it. That's before I heard about the famous Pixi glow tonic, which is designed to gently exfoliate your face, evening out skin tone and giving you that glow we're all looking for. Even better, it's alcohol free, hypoallergenic and cruelty free. When I first started using Pixi glow tonic, my skin felt tingly, which made me feel like this wasn't for me, but I stuck at it, using it maybe two or three times a week as opposed to the recommended twice a day. After a few goes, the tingle went away and I started to feel the benefits. After using glow tonic, my skin feels a hell of a lot cleaner and fresher, meaning I tend to use this on days I've been wearing a lot of makeup, but I also love using it on no makeup days, to give my skin a real pamper before a face mask. Glycolic acid seems to be a bit of a buzzword - word? phrase? idk - in beauty at the moment, but it will take a lot to beat Pixi glow tonic for me. I've seen a few bloggers talk about the Pixi nourishing lip polish on Instagram stories lately, saying how it really buffs away dead skin and tastes amazing, but honestly this is my least favourite Pixi product I've used. I do tend to struggle with my lips, almost on a daily basis. They're one of the things I'm most insecure about as no matter what I use (or don't use, if I'm having a lippie free day), they never look good. I've been using Lush's famous lip scrubs for years and totally rate them, but agree they can sometimes be a bit harsh, which might actually not be doing that much good. That's why I was excited to try Pixi's gentle lip scrub, for a softer alternative. It certainly is more gentle, but for me, I didn't feel like it actually did anything. Instead of sugar, this has little plastic bristles which are meant to buff away dead skin, with an apricot treatment made to nourish. They definitely feel nourished, but for me the plastic bristles didn't do much. I've given this a go a few times, just to see if anything changes, but so far, I've just found it tastes good and makes my lips feel pretty soft for 5-10 minutes. Not a bad product, but not a great one either, for me anyway. 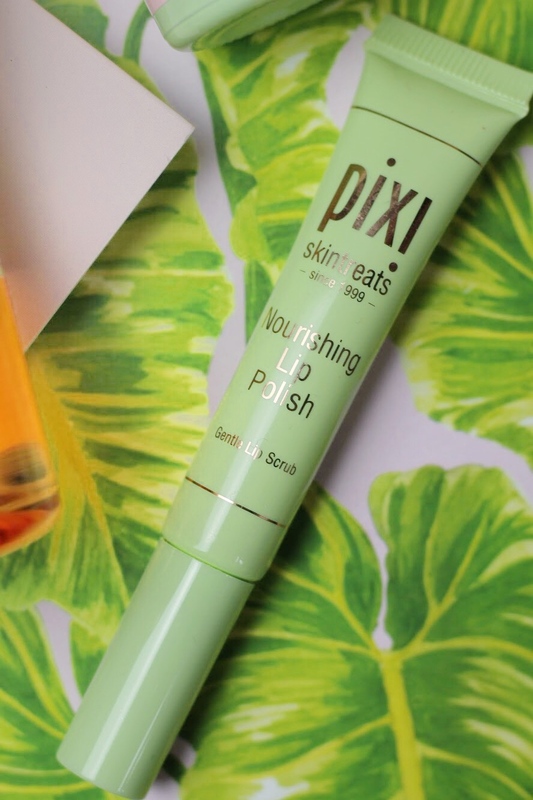 So that's my review of Pixi skincare, including glow tonic, rose oil blend and their nourishing lip balm. If you haven't already, check out my Pixi makeup review from earlier this week and let me know what your favourite Pixi products are.